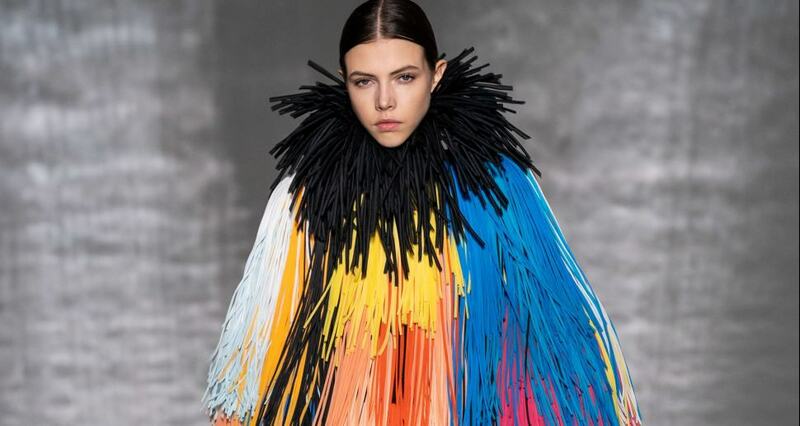 Chic tailoring, body-conscious silhouettes, and an abundance of vivacious colour all took center stage at Paris Couture week this January. 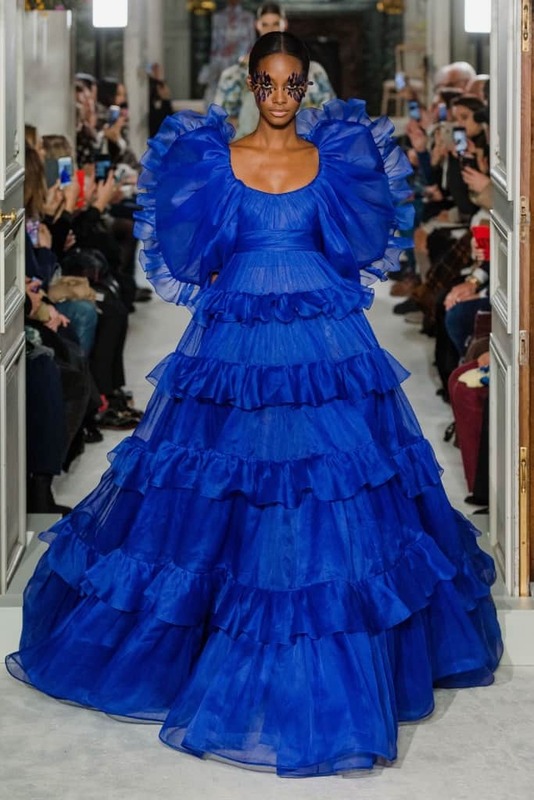 Designers opted for severe silhouettes in the form of voluminous shoulders, billowing gowns and sculptural constructions while others opted for a more demure and understated elegance with an emphasis on the precision of the cut. Here are a few of our favourite collections. 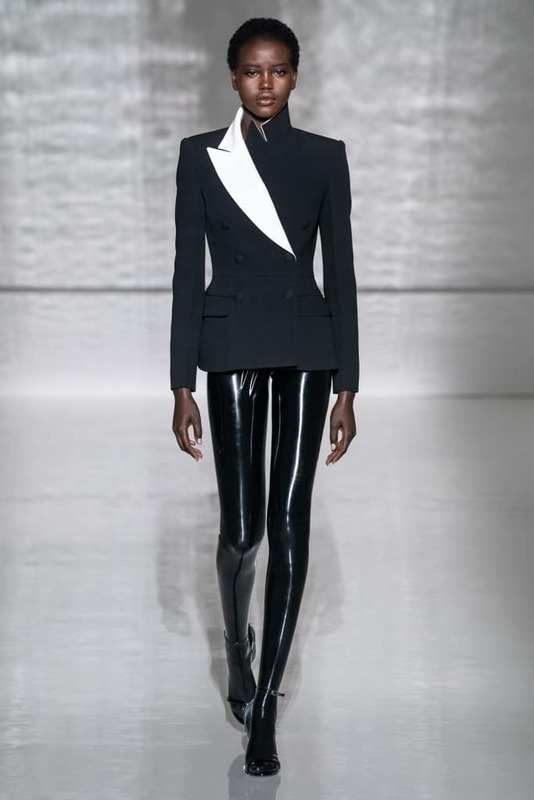 Claire Waight Keller’s Spring 2019 Givenchy Couture collection was a juxtaposition of classic couture shapes with an ere of modernity in the form of slick latex, entirely bespoke; each one requiring days to produce in collaboration with a specialty atelier, Atsuko Kudo. 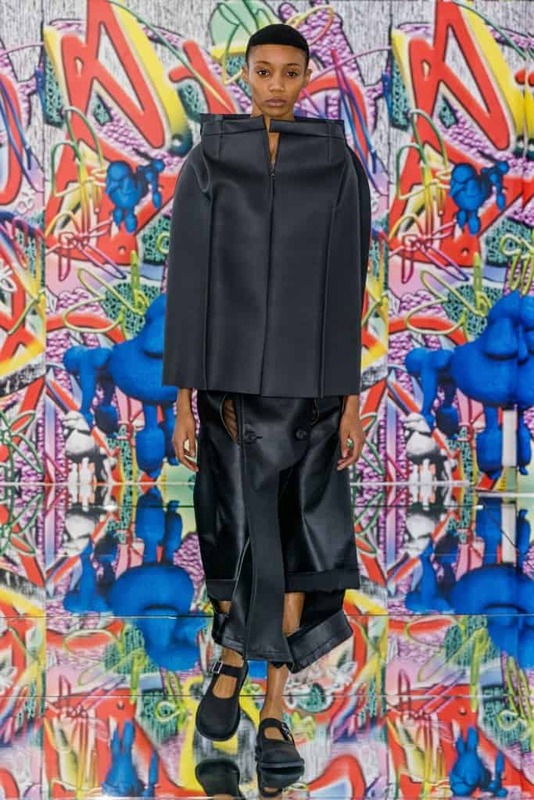 The collection was razor sharp in its juxtaposition of cut, colour, and fabrication. 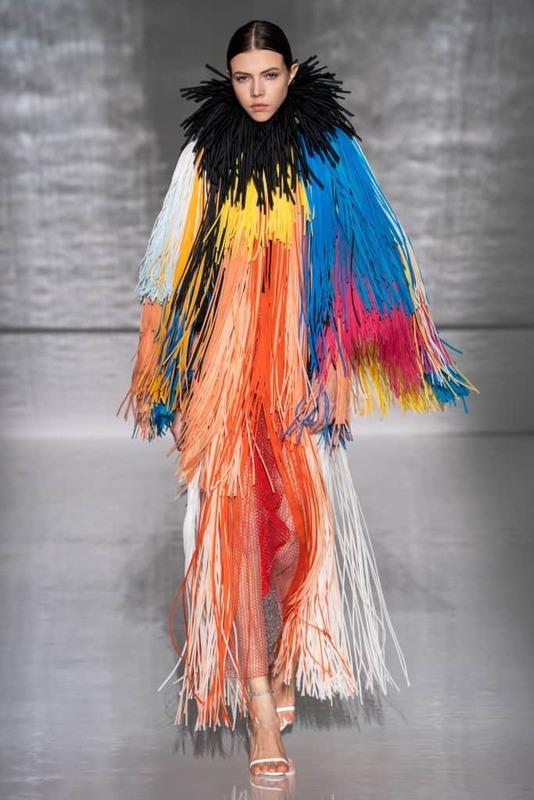 Maria Grazia Chiuri’s Spring 2019 couture offering (already worn by Lady Gaga at the Sag Awards) was a glorious ode to Le Cirque. 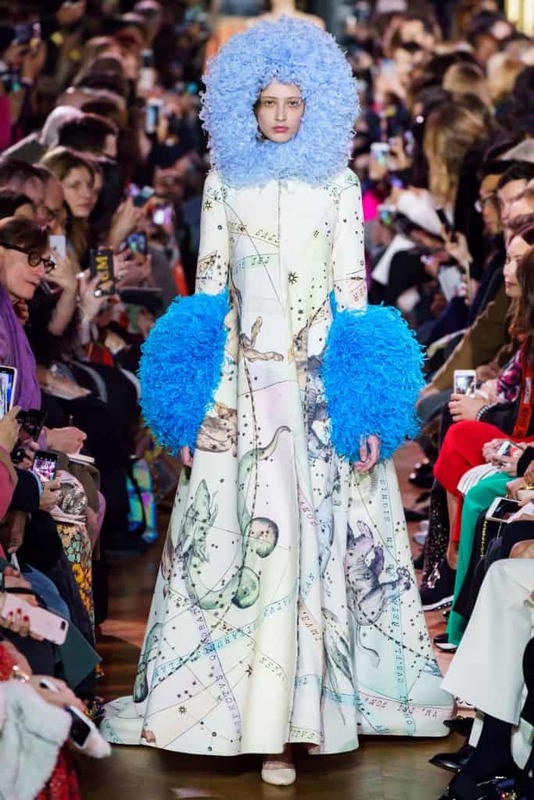 Evoking the spirit of the multitude of characters under the big top, the collection was a melange of dusty pastels Artemisian golden plissé gowns and glitter prints with billowing sleeves offset by striking tailored pantsuits fit for a ringmaster. An expertly crafted expression of the multi-faceted contemporary woman. 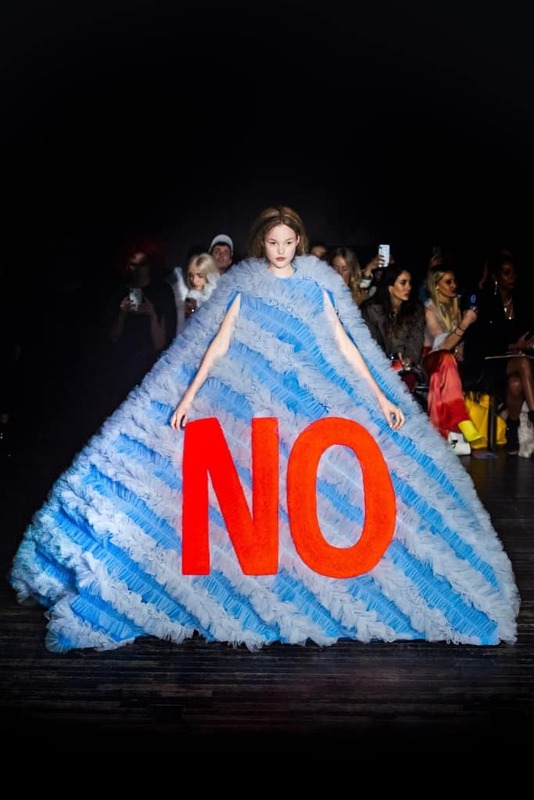 Viktor and Rolf’s Spring 2019 couture collection has arguably gotten the most press since couture week, and for good reason. 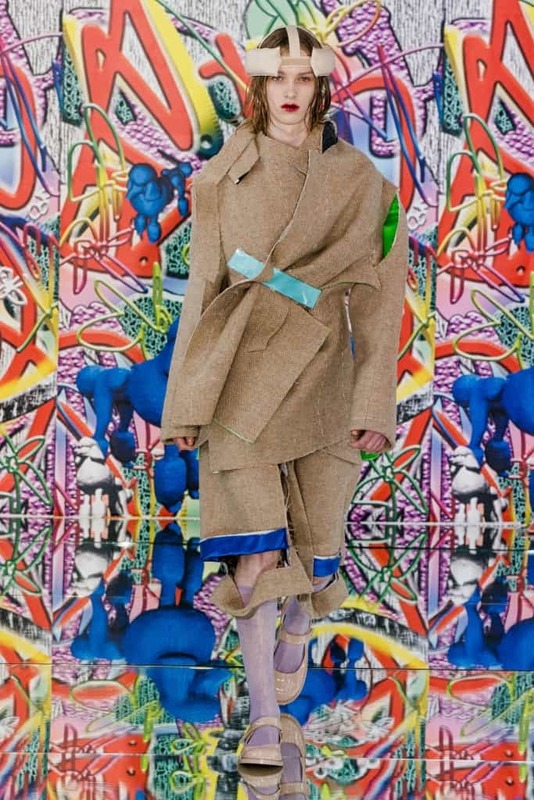 The 18 piece offering was part ode to their Fall 2008 Ready to Wear collection which said “NO” to fast fashion and part manifestation of the social media age in the most egregious sense. 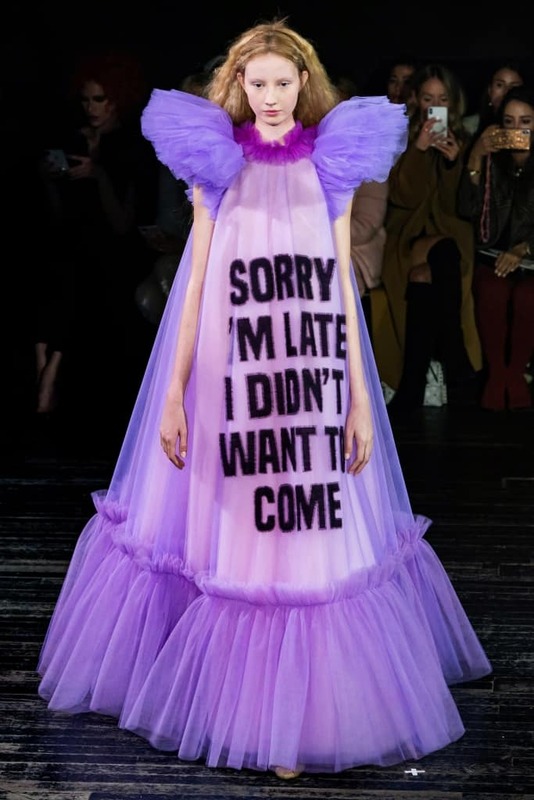 18 tulle gowns rendered in vibrant hues, and constructed in the vein of period dress, each with a resolutely contemporary sentiment, slogan or one-liner. What did it all mean? 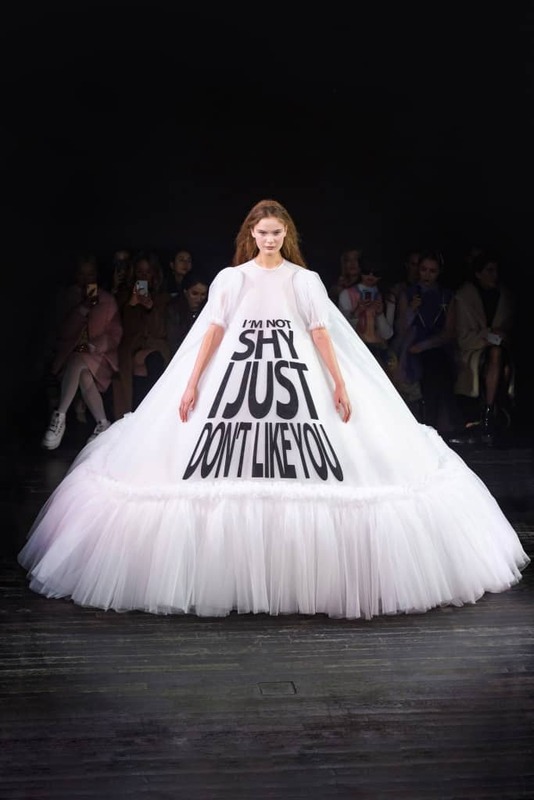 Perhaps, that not even the hallowed runways of Parisian couture can escape the banal nihilism of the meme-ified social media age. 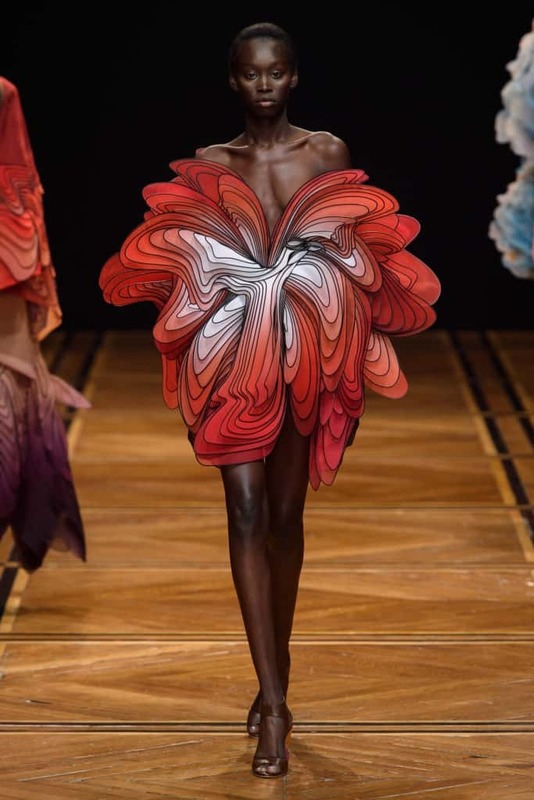 Iris Van Herpen explored concepts of celestial cartography and human-animal hybrids in her Spring 2019 couture collection. 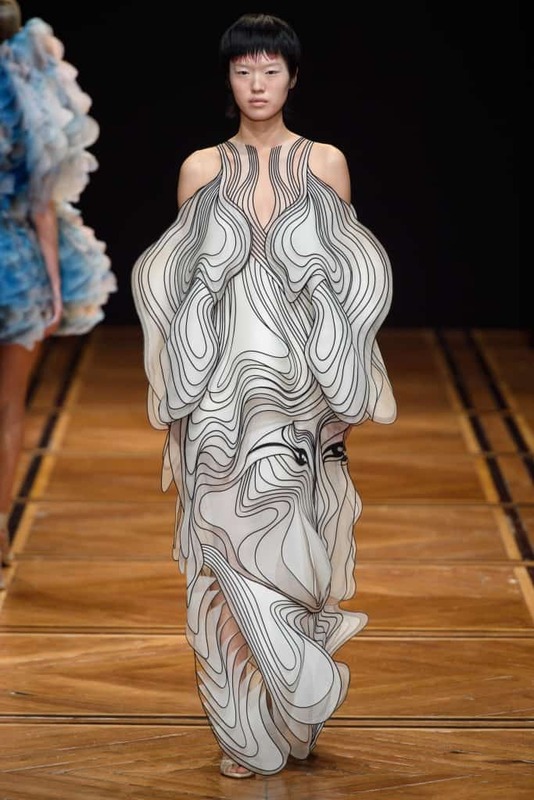 Titled “Shift Souls”, the collection was equally forward-thinking and sculptural as it was rooted in ethereal and diaphanous femininity. 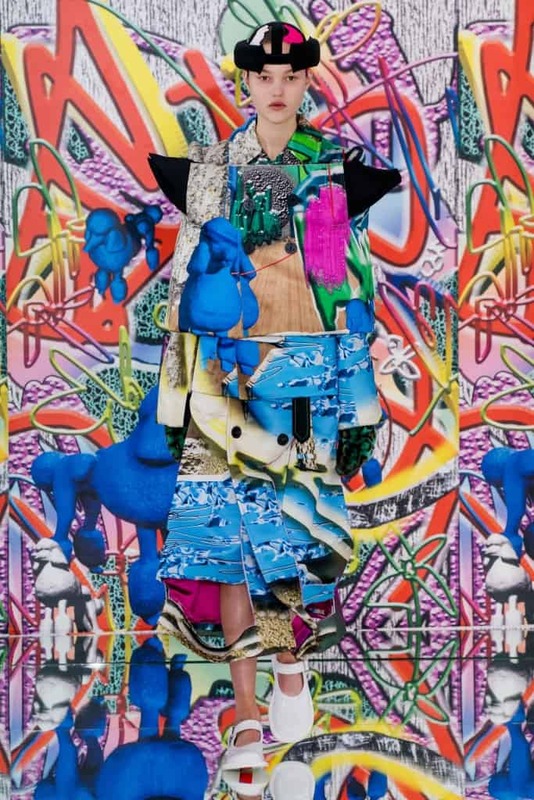 John Galliano’s latest Margiela Couture collection was structured around the concept of decadence, or as he describes it “the excess, the artifice, the decay.” Paraded against an eye-popping, kaleidoscopic graffitied backdrop conceived by the Margiela studio, the looks ranged from technicolour digitally rendered patterns cut and spliced into visually arresting trompe l’oeil creations to traditional menswear tailoring pieces. A sensory overload followed by a cleansing of the visual palette, a progression that felt wholly satisfying and relevant. 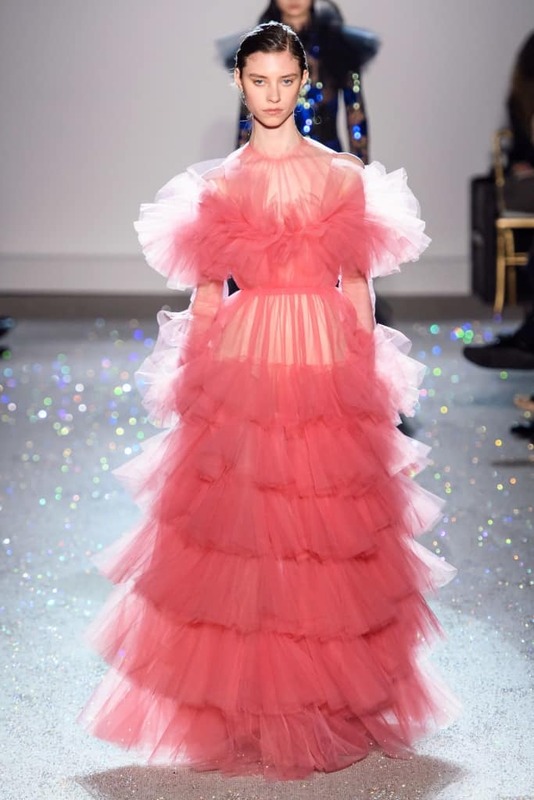 Giambattista Valli’s Spring 2019 couture collection was classic Parisian couture. Inspired by the spirit of Yves Saint Laurent’s Avenue Marceau salon; signature couture silhouettes were filtered through a streamlined contemporary sensuality. Voluminous tulle and silk gowns were offset by short cocktail dresses with flared proportions for a harmonious celebration of femininity. 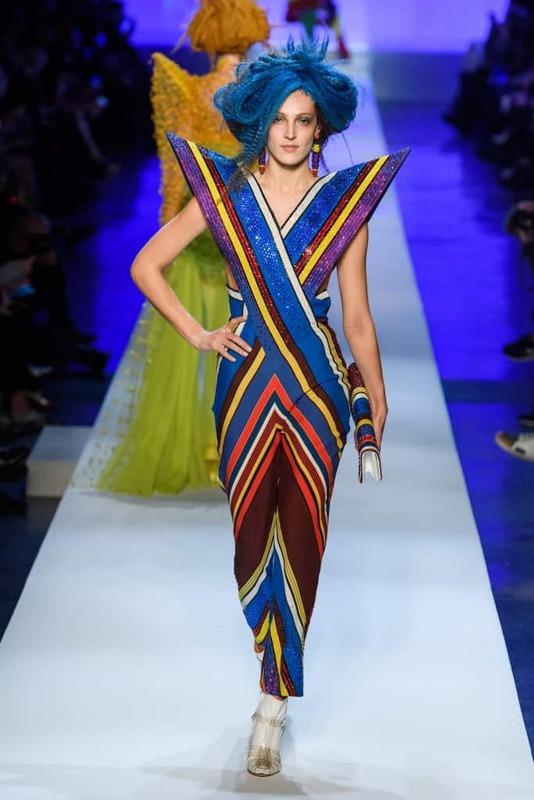 Jean Paul Gaultier took a tried and true motif of his brand and gave it a worldly contemporary twist at Couture week. 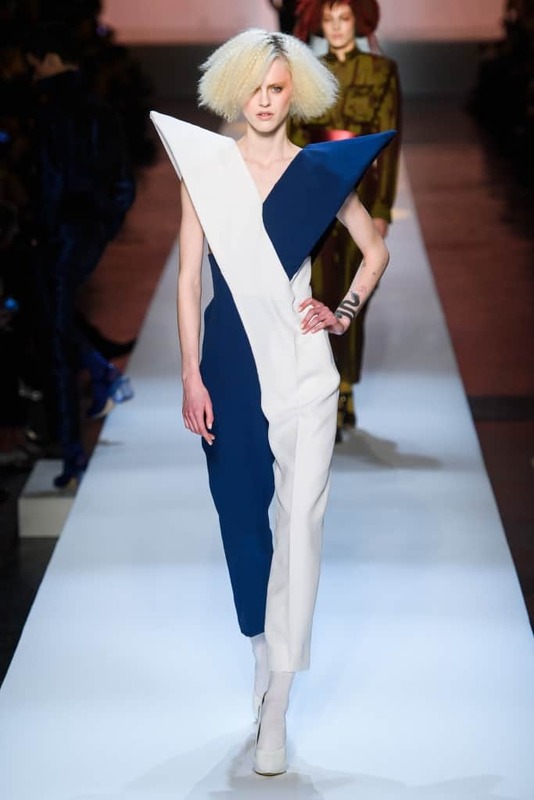 His Spring 2019 collection blended nautical themes with an oriental flare, working in exaggerated volumes with upright, sharp-edged shoulder construction the designer dubbed “shark fins”. 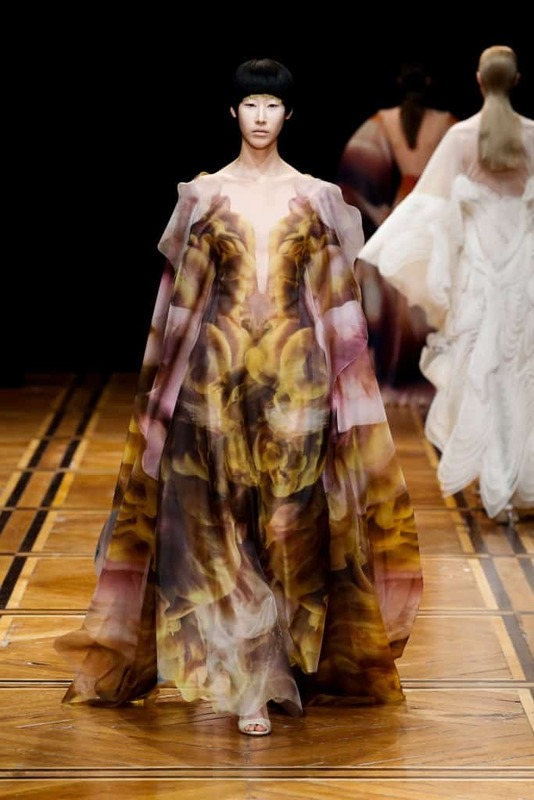 The show’s progression from pinstripes, murky greens and royal blues to deep violets and cherry blossom motifs suggested an extravagant nautical voyage to Japan. 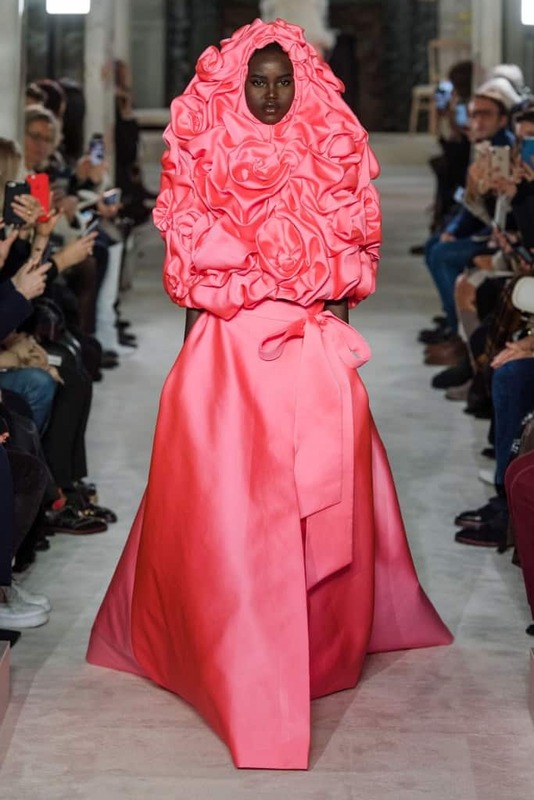 Bertrand Guyon played with Elsa Schiaparelli’s memories of the magic of childhood, flowers, and constellations from her autobiography Shocking Pink in his Spring 2019 Couture collection. 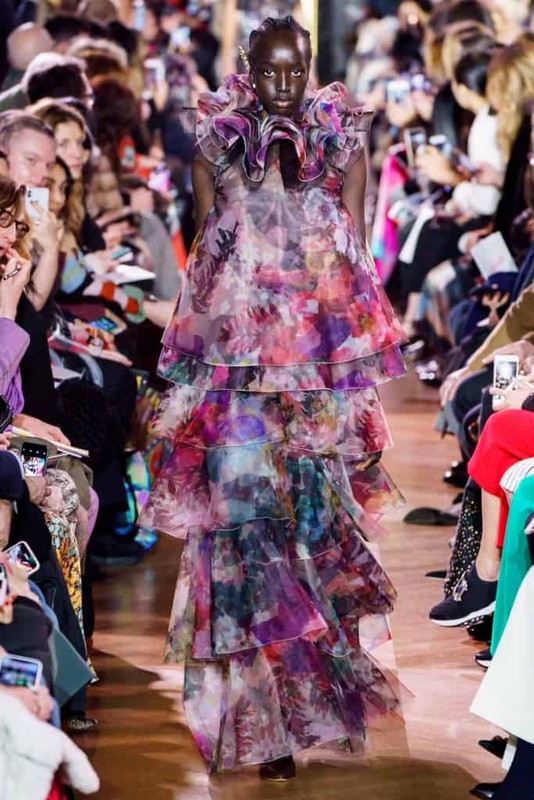 Scattering the whimsical offering with florals Guyon aimed to invoke a “sense of optimism, lightness, and freshness,” which was reflected in airy silhouettes and a vibrant palette.